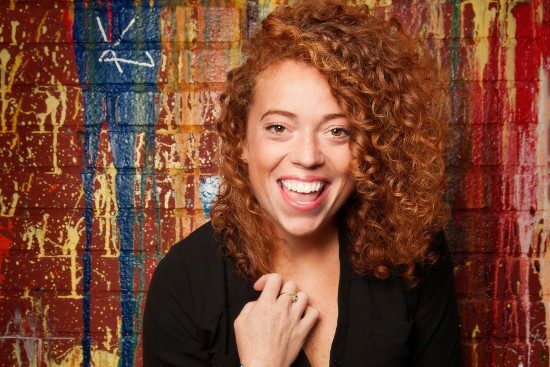 With her sometimes acerbic, always thought-provoking sense of humour, Michelle Wolf packed the Biltmore Cabaret for an evening of cathartic laughs. Opening the show was Kevin Banner, originally from Vancouver Island, who gave us some local flavour, self-deprecating stories, and tales of failed relationships. Wolf wasted no time mentioning Trump, but commented that we have a “cute president” in Trudeau. I guess we can’t blame her for not knowing that we don’t have a president? There were a few other forced Canadian references that fell flat — such as her comment about everyone speaking two languages and not understanding why there were French signs at the airport in Vancouver. Similar to Iliza, Wolf’s brand of humour has a feminist bent, but there were still plenty of exploited stereotypes and assumptions about gender roles. As she said, she’s a feminist, but she draws the line at the bar — she wants the free drinks. Another joke that stuck with me was her comment about only liking people’s wedding photos on Facebook so that she can see their divorce photos. I think a lot of people can relate to trying to read into posts to decipher what’s going on in an acquaintance’s life. I was glad that Wolf didn’t rely solely on gender relations-based humour, and I think some of her strongest material is when she gets political and discusses important societal issues such as racism. Her material about white guilt was thoughtful and pointed while also being incredibly funny. Covering a variety of topics and interacting well with the crowd, Wolf entertained and provoked at the same time. She managed to talk about ugly balls and spent quite a bit of time on periods, and while some subjects seemed to make the crowd briefly uncomfortable, they seemed to have a great time while being forced to think outside their comfort zone. Wolf seems to be ready to move on to bigger venues and I’m sure she’ll only gain popularity from here.